I like to give away a lot of free services. I give away free customer correspondences, teachings, and occasionally I even throw out a free critique. These critiques can retail up for $150 so I like to reserve them for special occasions. This occasion was to celebrate my birthday and it’s been a little while in the making. 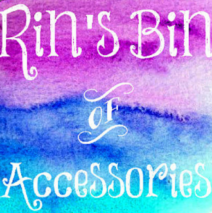 Corrine is the owner of Rin’s Bin of Accessories and I’d like to invite you to watch my critique of her Etsy shop. If you’d like the chance to score a free video critique, all you have to do is keep an eye out for my next contest in COPYWRITING FOR CREATIVES !